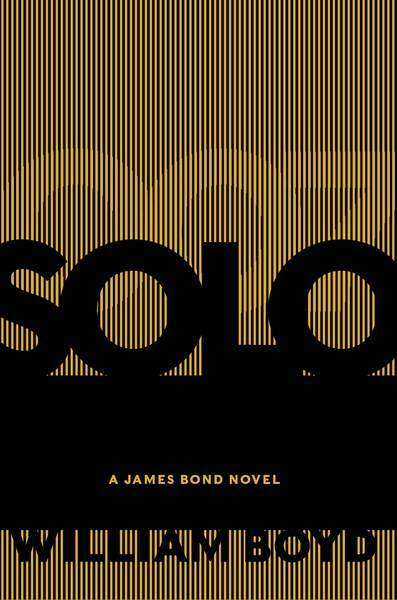 The UK artwork for both the dustjacket and inside cover of William Boyd’s forthcoming James Bond novel, Solo, was revealed today on the website of Ian Fleming publications. I much prefer the inside cover and am surprised this did not make the outside cover, which is rather bland and doesn’t seem to play with any motifs. Of course, it makes use o the open goal of two ‘O’s to play on 007, and I like the use of the Gecko, which may or may not be symbolic of Bond’s mission in Africa in this novel – we’ll see. The US jacket design is even less inspiring but reminiscent of the first edition ‘Moonraker‘ jacket. I consider this more graphic design than art, but I suppose you can’t judge a book by its cover. Or can you?